Graduating student Amanda Kerr has been awarded this year’s Guthrie Prize. She was selected based on the model of excellence she has shown in integrating academic study with leadership and service consistent with the School of Divinity’s mission and values. The prize includes a $1,500 award. The Guthrie Prize was established by Wiley C. Guthrie (’52) in memory of his wife and is awarded to graduating students who have a superior scholarship record, promise for effectiveness in ministry both within the school and the community at large, and actively participated in the school’s activities. After receiving nominations of graduating students from faculty, staff, and students, nominees were asked to submit an application and peer recommendation. The recipient was then voted on by the faculty. Kerr, originally from Charlotte, North Carolina, has been actively involved in the School of Divinity community and throughout the wider Winston-Salem community since beginning the Master of Divinity program in 2015. She has served as a New Student Orientation Coordinator, helping to design and facilitate a three-day orientation to aid in the empowerment of incoming Master of Divinity students in the fall of 2016; a Student Communications Specialist, overseeing projects for social media engagement and special events; a member of the Worship Planning Team, helping to design innovative and ecumenical community worship services; Secretary for the Student Leadership Council; and as a Spirituality Group Facilitator for the Wake Forest LGBTQ Center, exploring the intersection of faith and gender and sexuality. Outside of Wake Forest, Kerr has interned with Crisis Control Ministries, Inc., First Christian Church (Disciples of Christ) of Greensboro, and Anthony’s Plot Community. The intersection of these commitments led Kerr to apply to participate in a leadership cohort with The Reformation Project, an organization that promotes the inclusion of LGBTQ people in Christian faith communities by reforming church teaching on sexual orientation and gender identity. 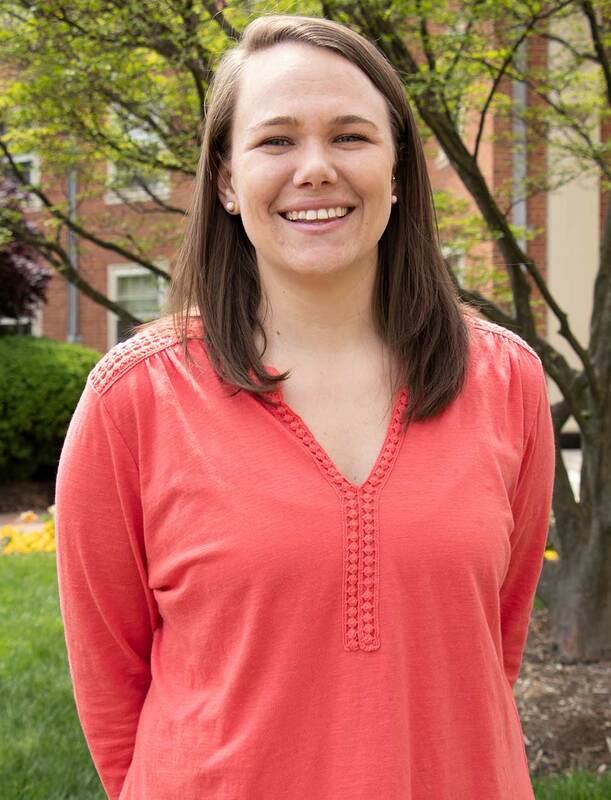 She was selected as a participant in the spring of 2017, and Elizabeth O’Donnell Gandolfo, Earley Assistant Professor of Catholic and Latin American Studies, served as her faculy mentor. Kerr administering communion during the Community Worship service she led on Thursday, April 26, 2018.